Telegram Desktop, Shutter Screenshot Tool, and Tomboy Notes are examples of apps with tray icons. By default, GNOME 3.32 does not show them at its top panel system tray. This may greatly reduce your productivity. 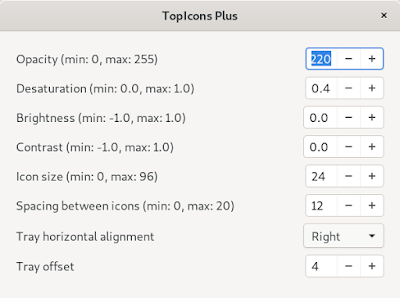 To show them once again, you can install TopIcons Plus extension and they will show. 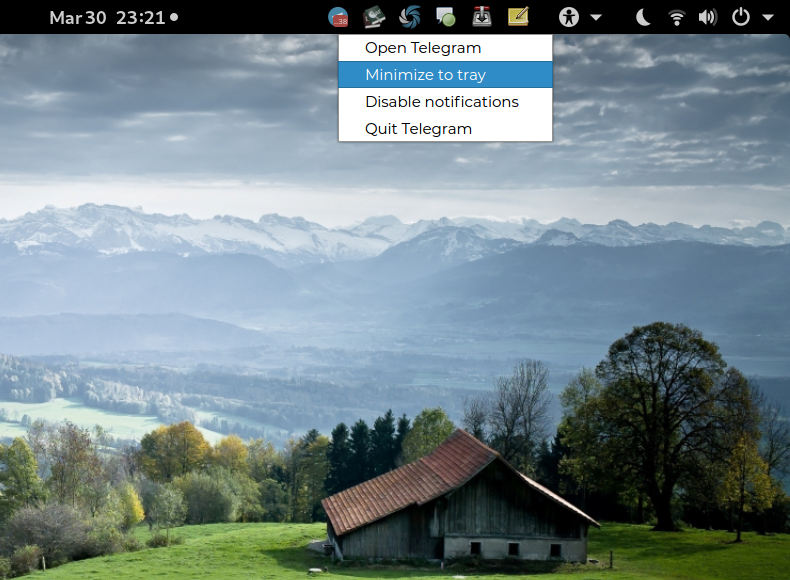 Special to Telegram, you need to install Ubuntu AppIndicator extension as well. Alternatively, if you wish you can use KStatusNotifierItem instead. 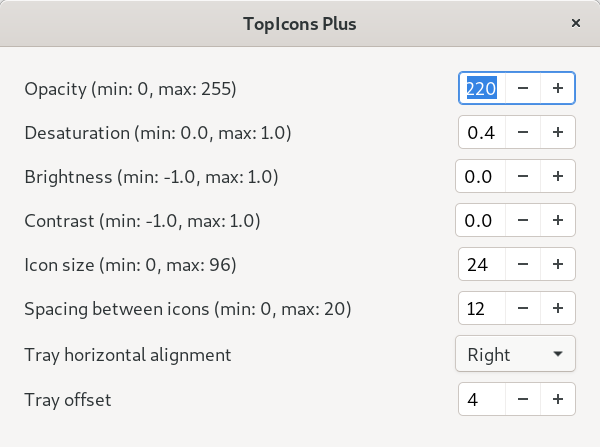 On GNOME Tweak Tool, you can configure TopIcons Plus so the group of icons show right on left side of GNOME's system tray. The formula is Tray horizontal alignment=Right and Tray offset=4 like picture below.